Valentine's Day is in a week! 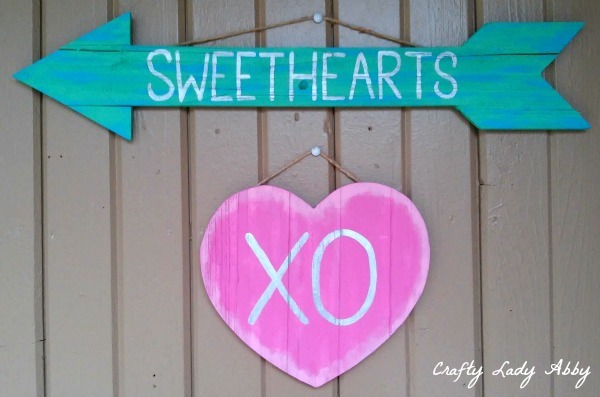 I made this "Sweethearts" arrow and heart set, to pair with my OlyFun Hearts Garland, on my front porch. We got snowed in recently, and this project popped into my head. The day I was able to finally leave my house...after 6 days of being at home...I immediately went to Michael's and hunted for the wood pieces. 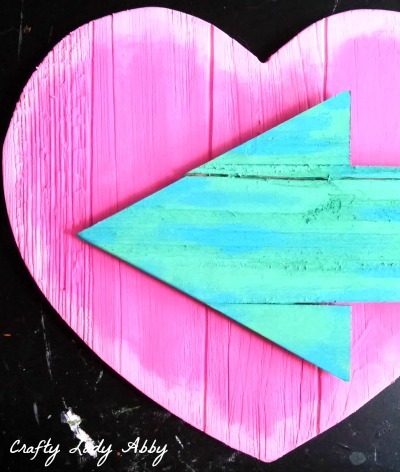 I choose a rustic wood arrow and heart from Michael's store brand. This rustic "reclaimed wood" style is very popular in home decor currently, so they were easy to find. 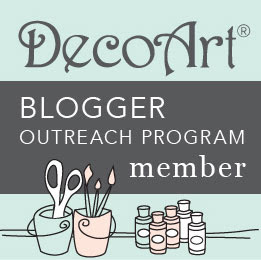 DecoArt sent me paint and other products back in December, which I've been using for various projects. I'm really into these colors lately. For this tutorial, I share two techniques you should add to your craft skills...dry brushing for faux distressing, and base coating for opaque metallics. You can change up the colors if you wish. The dry brushing should complement the main colors. The lettering basecoat should match with the metallic color, for the metallic to pop well. You can make your lettering fancy, but simple lettering is all I know how to do. Ok, onto the tutorial! These are Amazon Affiliate links. If you purchase anything using these links, Amazon will pay me a small commission. DecoArt provided me with the paint for this project. These products are likely available at your local craft store. 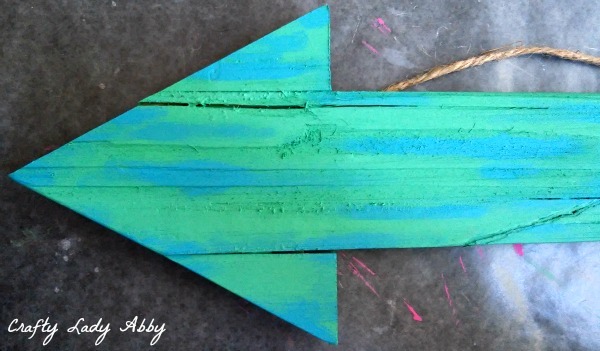 The rustic wood arrow and heart are from the Michael's store wood line. 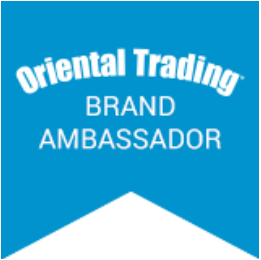 I linked to Walnut Hollow products as an online purchase option. DecoArt Americana Acrylic Paint in Neutral Grey - Instead of mixing black and white to make grey, this pre-mixed grey will work too. 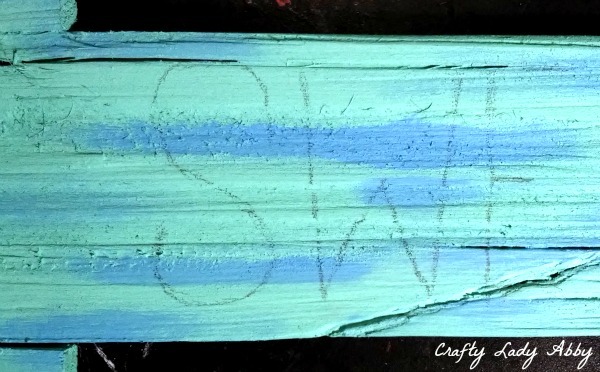 1) With the wide flat paintbrush, paint two coats of DecoArt Americana Acrylic Paint in Sea Aqua. Let the paint dry in between coats. 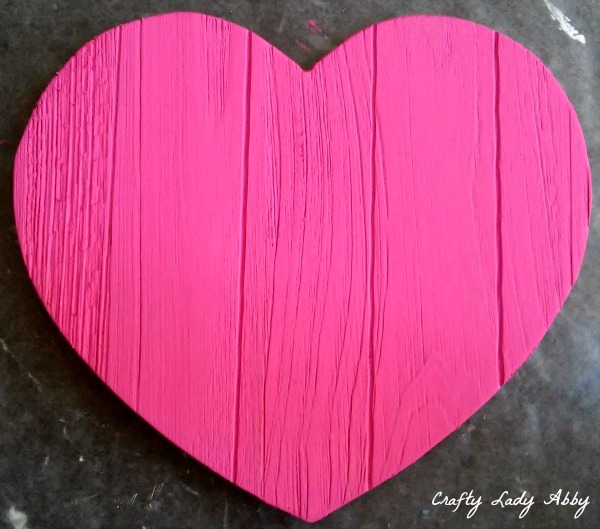 2) With the wide flat paintbrush, paint two to three coats of Carousel Pink onto the wood heart. 3) Time for some dry brushing, to make the arrow look worn. Pour a little Turquoise Blue onto the plate. You won't need much. Dip the stiff paintbrush into the paint. Tap off the excess onto a clean plate section or a paper towel. 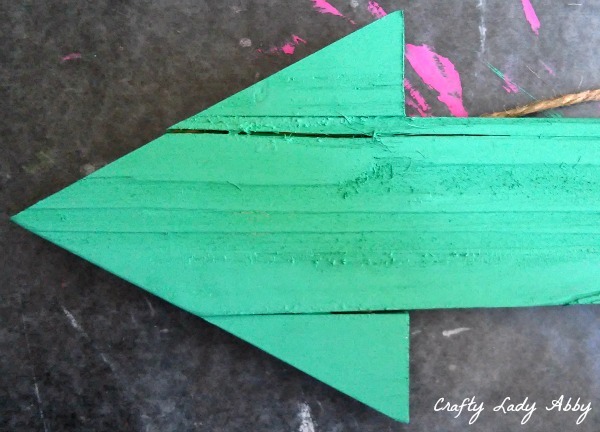 Brush the sparse paint onto the arrow following the grain. Dry brushing makes the paint coat light and almost airbrushed. Add more paint to your brush as needed. Make some strokes heavier than others. The idea is to make the paint look as if the green has worn down to expose the turquoise. 4) Clean the stiff brush with water and a paper towel. Repeat the dry brushing process with Bubblegum Pink, around the heart edge. I tried a few different colors and techniques with the heart, but ended up only liking the Bubblegum Pink around the edge. I meant to take a photo of the dry brushed heart alone, but instead you get the heart and arrow together. 5) I chose "SWEETHEARTS" and "XOXO" for my words, but you can pick something else. Whatever you choose, figure out what the center of the word will be and start there when lettering onto the wood pieces. Use a ruler, if you have trouble keeping letters an even height. I eyeballed them. Lightly write your letters in whatever style you like. I'm not great at fancy typography, to my calligrapher mother's dismay!!! I keep my lettering simple and straight. Keep the letters at least 1/2 from the top and bottom. Keep them along the center strip if possible. 6) You can either make grey paint on a plate by mixing a lot of white with a little black. OR, you can use the neutral grey I recommended. I didn't have any of that on hand, but I'll totally be asking for some on my next DecoArt product request. Pre-mixed colors are a total time saver, and keep your color consistent. 7) Using the small flat paintbrush, paint the letters, following the drawn lines. Using a grey base makes the semi-sheer silver become opaque! A little painter's trick for ya! Let dry completely and wash the brush well, before moving on. 8) With the small flat paintbrush and Dazzling Metallics Shimmering Silver, paint over the grey letters. Let dry completely and wash the brush well, before moving on. 9) If the arrow and heart didn't come ready to hang, you can staple or glue twine to the back. Otherwise hang them with nails and a hammer. I used upholstery nails, because they hold the heart and arrow straight and I don't have to worry about wind knocking them off. That's all for this project! I hope you all have an excellent week and Valentine's Day. You don't have to be in a relationship to enjoy the day of love. Treat yourself to something special, whether you'r single or not. As RuPaul says "If you can't love yourself, how the hell are you going to love somebody else!" Happy life and makery!